These Mr. Fothergill's californian poppy Carmine King seeds from Ruddick Garden Gifts are thought to have been introduced in 1906. 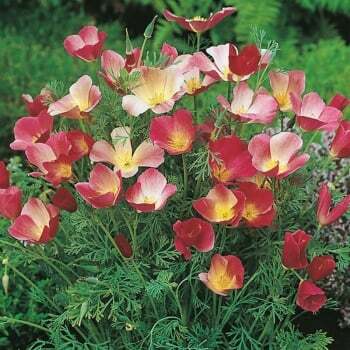 The elegant single blooms have lovely fine foliage underneath and will grow to just 8" tall. This hardy annual is perfect for poor, dry soils. Average of 300 seeds per pack.